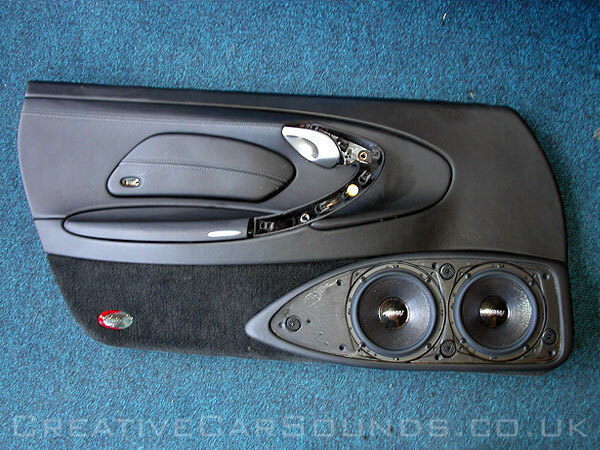 Creative Car Sounds - Sat Nav and Custom Car Install Specialists - Established for 24 Years. 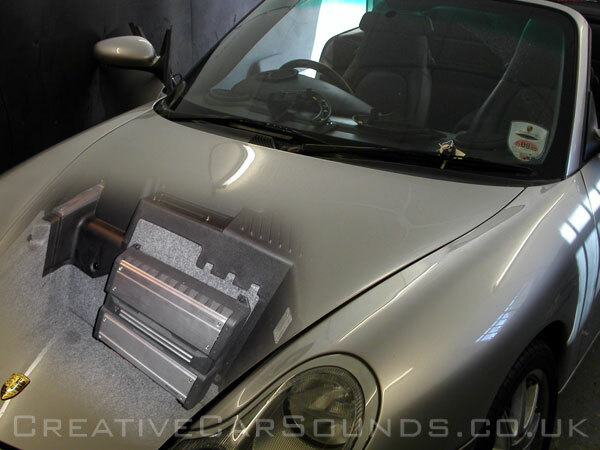 Here is an example of one of our recent install projects in a Porsche 911 Carrera 4. 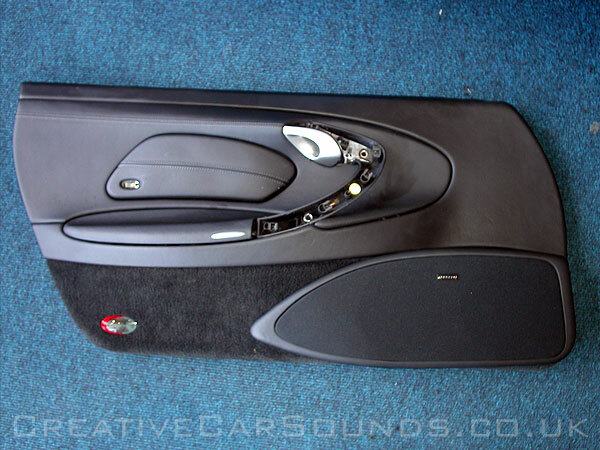 The standard Porsche audio setup can lack the professional sound quality and volume expected on such a prestige car, especially at high speed or in a convertible with the roof down. 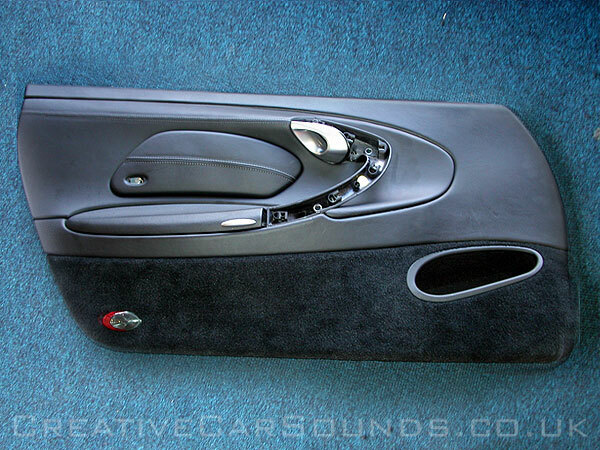 Here at Creative Car Sounds we can create a custom setup to create the awesome sound quality you require with discrete interior styling to keep in with the original OEM standard look of your car. 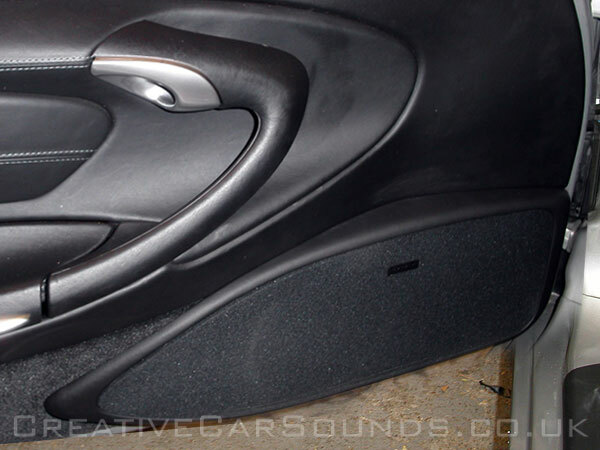 Each of the front doors of the Porsche were treated to two 6.5 inch Wooofers, in custom built fibreglass door pods. 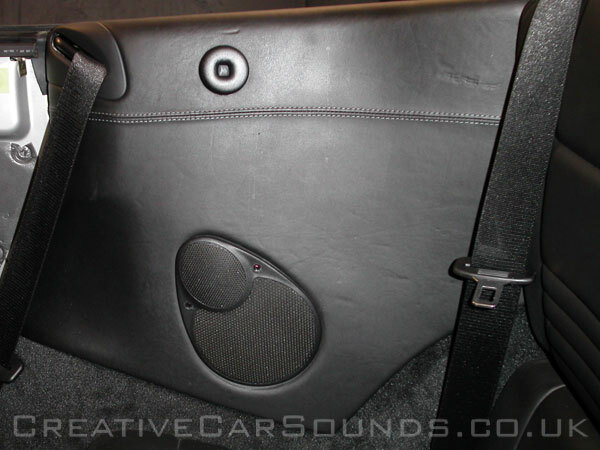 The door pods were created in a shape keeping with the existing styling and trimmed in matching leather and accoustic cloth. 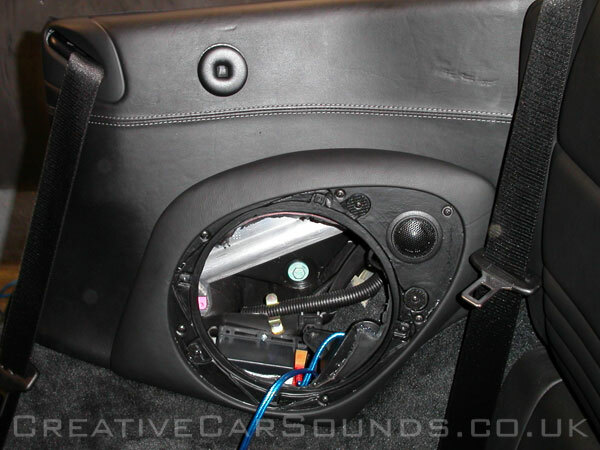 The photos below show the original door, the pod holding the two speakers and the finished item. 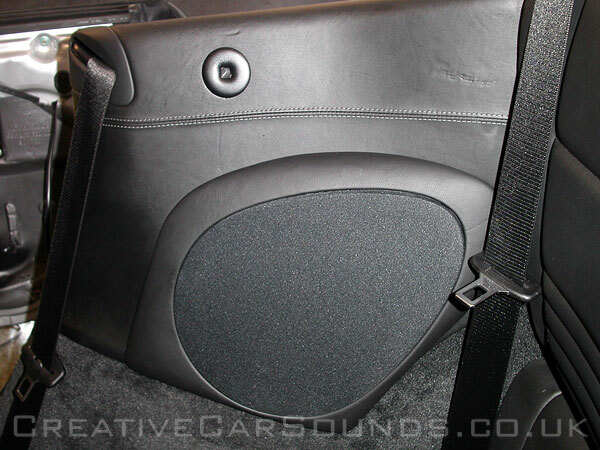 The existing speakers in the dash were replaced with two larger mid-range speakers and 2 tweeters, once again the pod was re-trimmed in leather to match the dash, with accoustic cloth to cover the speakers. 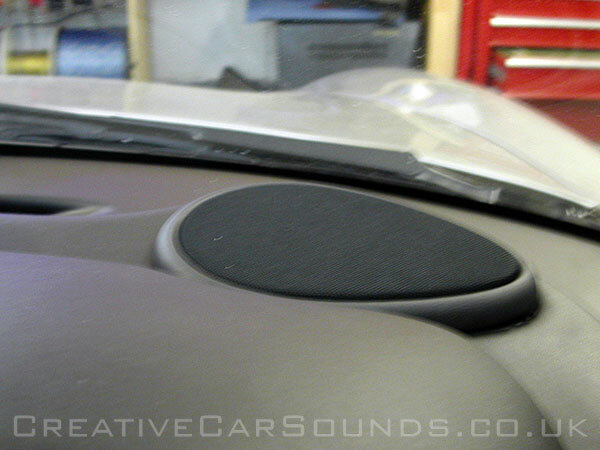 Here the existing Porsche speakers have been replaced with two 8" mid flash subwoofers and two tweeters. 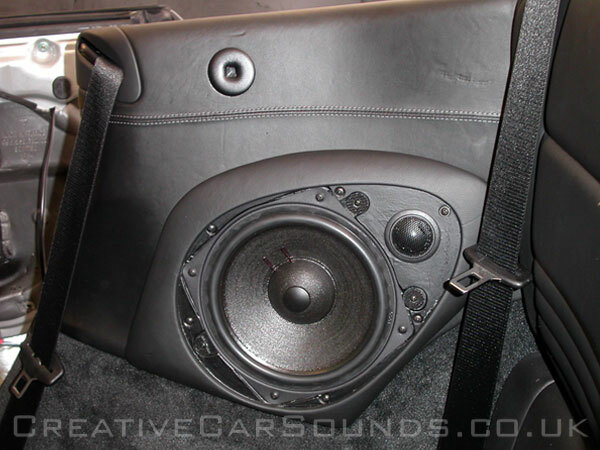 Once again custom fibre glass builds were created and re-trimmed in leather to hold the new larger speakers. 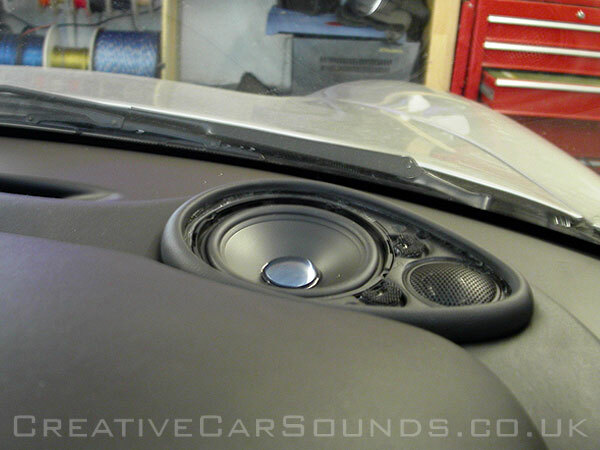 The first photo shows the existing speaker, followed by the upgraded replacements. The existing head unit was replaced with a Pioneer Avic X1, which features a motorised 6.5-inch TFT screen, satellite navigation, DVD, mp3 and cd playback. 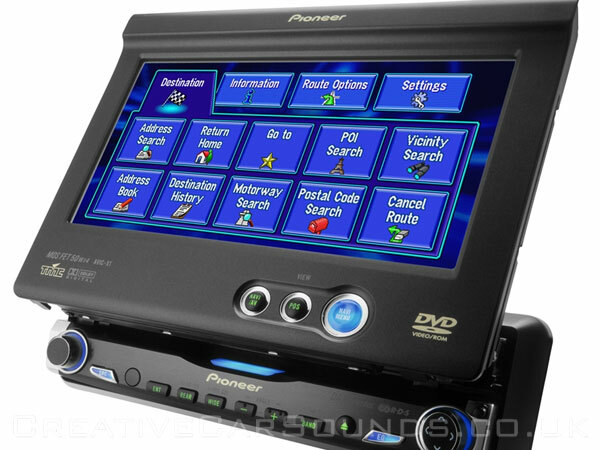 This unit is Europe's first all-in-one DVD AV headunit, a stunning example of Pioneer's dedication to their philosophy of integration and versatility. 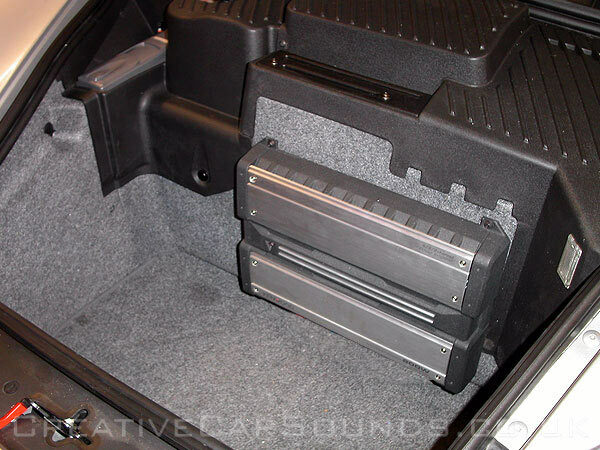 Up front a high power Kenwood four channel amp was used to power the system. 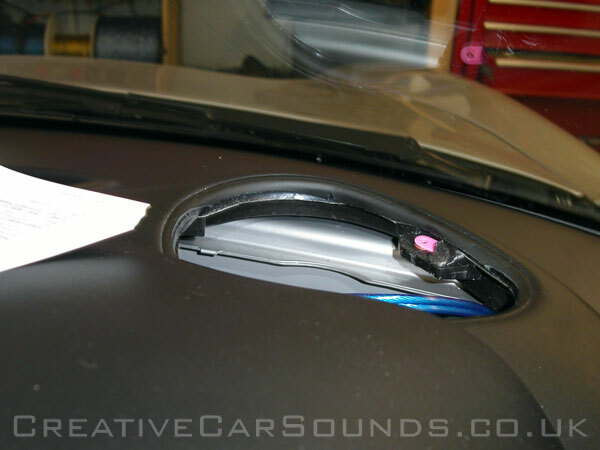 Creative Car Sounds can create a unique install like the one detailed above for any vehicle. 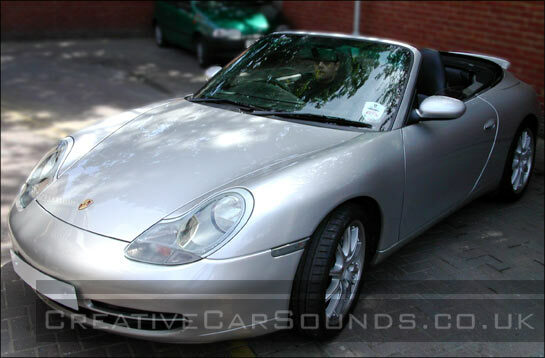 For more information and prices please call us now on 0208 364 1002.